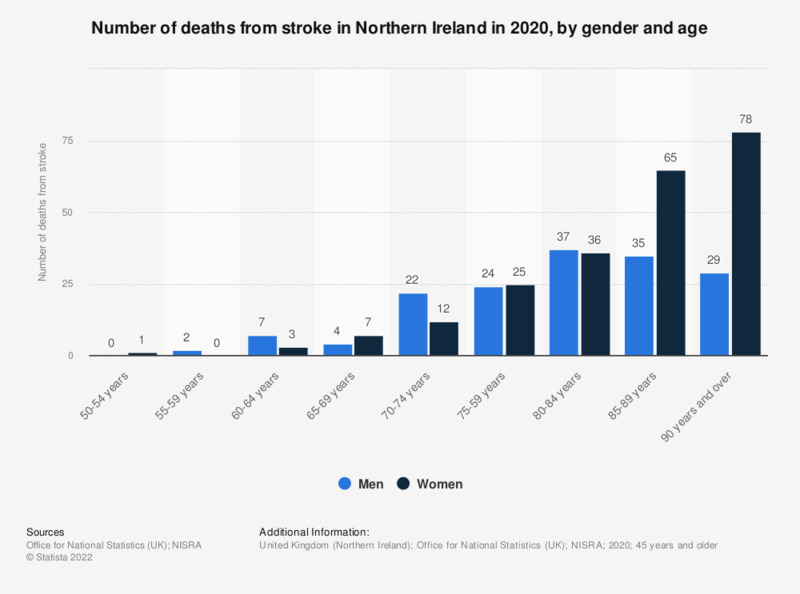 This statistic displays the mortality rate of stroke in Northern Ireland in 2017, by gender and age. The mortality rate of stroke is significantly higher among individuals aged 70 years and over. During this year 115 women aged over 90 years died from a stroke.